Recently, we faced the challenge to perform complex transformations in Logic Apps. We had an EDIFACT D96A ORDER parsed into XML, that had to be transformed into a generic JSON Order format. Let's have a look the issues we faced! As a second attempt, we decided to go for XSLT! We leveraged the Transform XML action, which executes an XSLT mapping. 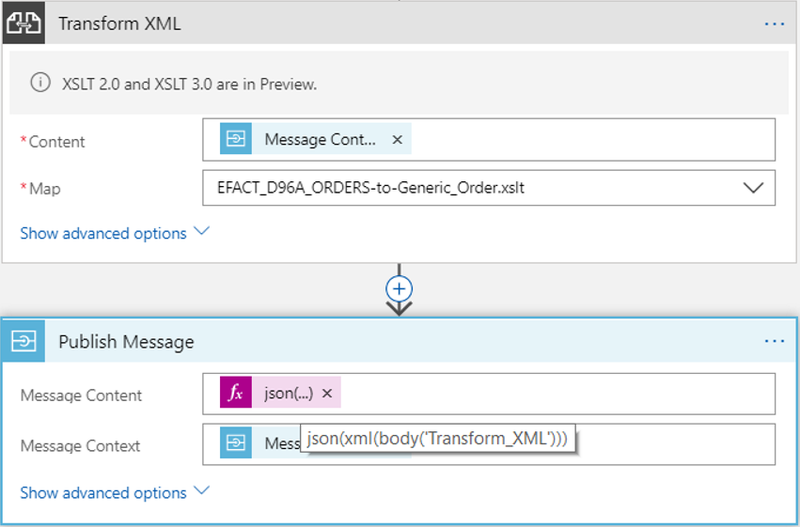 We transformed the EDI XML into the XML representation of the JSON Order, so we could use the built-in json() function to convert the output XML into its JSON format. 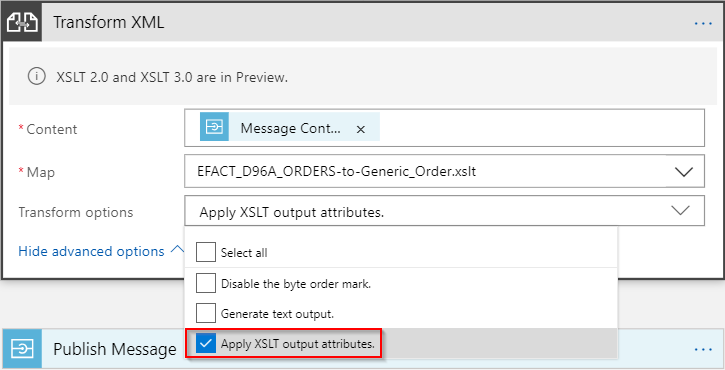 The above XSLT mapping, combined with the json() function, worked fine until we faced a transformation of an order that contains a single order line. When there’s only one child record, the json() function has no way to know that we’re dealing with an array. This resulted in invalid JSON Orders that have the orderLines property not defined as an array. And guess what!? It worked as a charm! As you could see, there were quite some pitfalls when executing complex transformations in Logic Apps. I hope this blog post will save you some headaches! Special thanks to my helpful colleagues Maxim, Iain and Pim for their assistance on this matter. In this blog post I will demonstrate how easy it is to expose SAP functionality to the cloud with the new functionalities provided by Logic Apps. I will create a Logic App that exposes BAPI functionality to an external website. Exposing data with different content types in a performant way can be a challenging problem to solve, Azure Search tackles this problem by providing a full-text search experience for web and mobile applications.